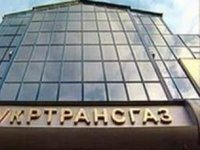 JSC Ukrtransgaz has appealed to the National Commission for the State Regulation of Energy, Housing and Utilities Services (NCER) with a proposal to postpone the launch of the daily gas balancing until February 1, 2019, Member of the Board of Directors of Ukrtransgaz Tetiana Fedorova said at the Ukrainian Energy Week in Kyiv on Monday. She said that at present, as part of the daily balancing information system launched on October 18, only 27 of 44 gas distribution system operators enter the daily balancing information to the system. The problem, according to Fedorova, is the fact that the functionality embodied in the system was developed in accordance with the new version of the GTS Code, which will come into force on December 1, while the market will continue operating in accordance with the old edition until the end of November. She said that in addition to the full-fledged work of the information platform, a full transition of market players to electronic workflows is required to launch daily balancing. "From December 1, we expect the transition exclusively to electronic workflows. We also believe that it is necessary to extend the testing of the information system in accordance with the new requirements of the current legislation, so perhaps we should consider deferring the full implementation [of daily balancing] for the testing period," Fedorova said. "We turned to the regulator and offered to switch to electronic workflows in the information platform in accordance with the requirements of the previous version of the code, but continue its full testing until February 1 in accordance with the requirements of the new edition," she said.